A selection of our most popular videos from the 2017 HIMSS Annual Conference & Exhibition in Orlando. Attendees of HIMSS17 probably noticed more camera crews wandering around the convention center than previous HIMSS events. They weren't mistaken - with over a hundred videos posted to our exclusive Destination HIMSS video gallery and social media channels, we effectively doubled our video production over last year. 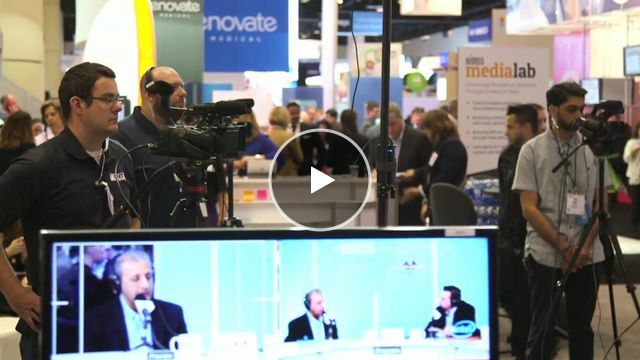 From daily highlights of the show and interviews with thought leaders, solution providers and prominent speakers at the conference to in-depth discussions on HIMSS Radio, we talked to a lot of people about their thoughts on the state of the industry. Concerns over the effect of the new administration's agenda were top of mind and presented during our keynotes and sessions, some of which are available to watch in their entirety as well. Special coverage of the Most Influential Women in Health IT Awards and Social Media Debates were also popular with our viewers.